Quantum mechanics (QM) is the physics of atoms and their constituents. Under reductionism, QM should provide the solid reality for our world, as Einstein insisted. Instead, quantum properties depend strongly on their observer; they are empty (śūnya) until co-dependently created. 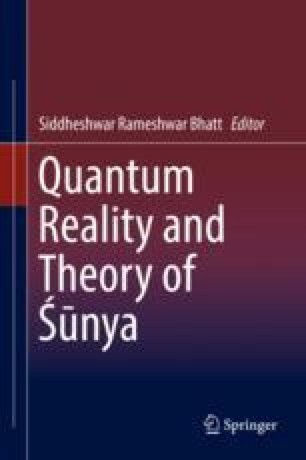 So physics provides a time-dependent, co-emergent reality (which I designate reality) reminiscent of śūnyatā. Yet physicists justify QM because “It works,” begging for the questions: works for whom? to do what? Responding to these questions and similar ones in many fields, I helped start a small organization, the Institute for Science and Interdisciplinary Studies. Its philosophical program aims to help reconstruct knowledge for progressive purposes. The Institute’s analysis provided insight into quantum teleportation and helped me invent a variant that US-NASA currently develops for communication from space. The author is also a Buddhist Dzogchen practitioner. This essay speculates on the relation of śūnya and śūnyatā to scientific knowledge. Does the union of emptiness, cognizance, and compassion within dharmakāya imply that Eastern concepts from Hinduism and Buddhism can provide a second source of inspiration for reconstructive knowledge?